this blog post contains news about baby loss which some readers may find upsetting, if this is likely to cause any upset please press your back button now thankyou. when a baby or fetal demise as you may have heard the term used passes away in the womb before 23 weeks you you find it hard to find proper baby clothes so small. you may be fortunate and get knitted handouts free but sometimes a mum just wants baby to be treated normally even if he or she was born early. 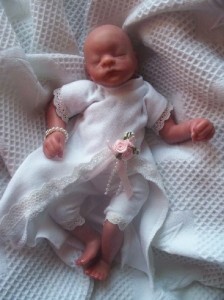 Dressing baby in proper baby clothes that mum has picked out her self helps make gives the parents peace of mind that baby feels settled and comfortable.Then the family can say a final goodbye to baby before a funeral or cremation service knowing baby was not left bare with no clothes on.